The always tough Matt Cain takes the mound for SF. 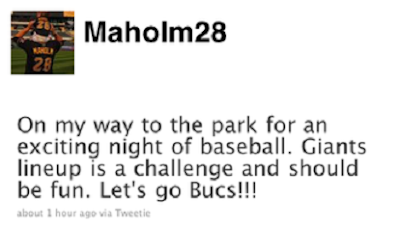 The Pirates like tough pitchers so you never know. If you are still up or have insomnia, join us in the liveblog below. Lets Go Bucs!